FALL IS UPON US AND WINTER IS JUST AROUND THE CORNER and unless you have a greenhouse or indoor garden, this pretty much marks the end of the growing season. However, winter will come and go soon enough and before you know it spring will be knocking on the door begging you to come out and play in the garden once more. 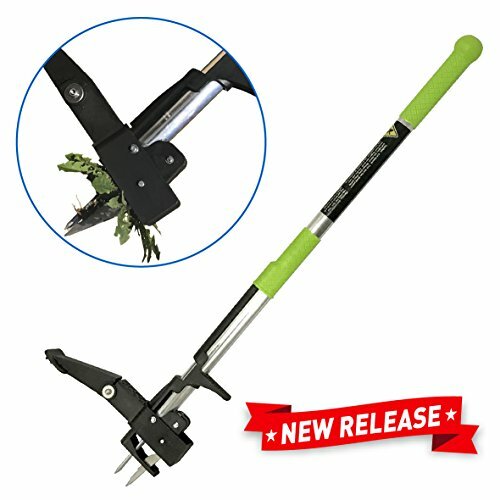 With that in mind, Organic Daily Post challenged some top-notch gardeners both professional and amateur to compile a list of some of their top garden gadgets. There were some requirements. They had to be well made and also offer utility without having to get a line-of-credit from the bank to purchase. Our friends were more than happy to help and gave us a healthy list of ideas from which to choose. We whittled that list down to eight of our favorites and to ensure they were a good fit for our readers, read through hundreds of customer reviews and chose the products we felt offered the best all-around value. All are under $50 and some...way under. But, we describe each one below and let you know why we hand-selected each gift. With a few holidays headed our way, now may be the perfect time to surprise your favorite gardener or even yourself with a really cool gift to make gardening life a little easier. Even without a holiday, receiving a present from someone or giving one to yourself is always a good feeling, especially when it's one you like! So let's get started. The first item on the garden gift-list grabbed our attention for a variety of reasons. We were thoroughly impressed with not only the concept but its functionality, good price and quality reviews. The list is in no particular order. Anyone who works in the garden knows being down on your knees for any length of time can be painful. Older folks tend to stiffen up if they remain in one position too long. Getting up can be tough too. *Ironically, ours arrived just this morning and my wife loves it! True story. 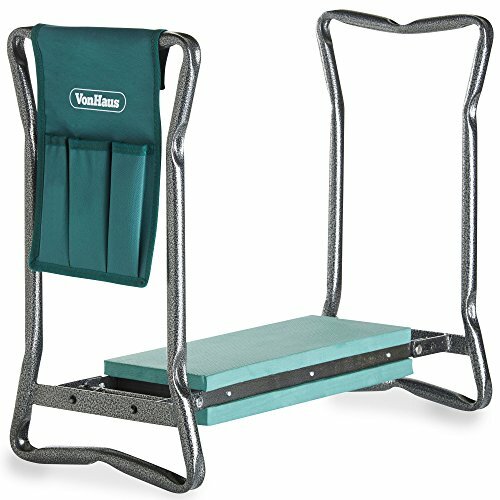 The VonHaus Portable Folding Garden Kneeler Bench and Seat Stool with Tool Bag. Trust me, this item is easier to use than it is to pronounce. A folding garden bench that easily transforms from a sitting bench to a cushioned kneeling pad. A neutral pH level is 7.0. Above that it is alkaline, below that number, acidic. Perhaps even more important than having good soil is having the correct soil and the proper pH level for your plants. Some plants, such as blueberries for example, require an acidic soil while plants like the clematis require an alkaline medium. 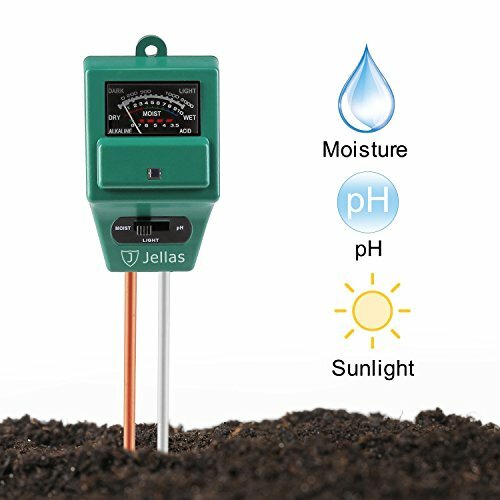 For the money, we like the Jellas 3-in-1 Soil pH Meter. Measures the moisture, light and pH levels of your soil. Many of us are familiar with the term, “Get the right tool for the job,” and that's true, but after you do,where do you put all those tools for gardening and yard work? Organic Daily Post looked over a bunch of handy tool holders and chose the Keter 40 tool storage rack. 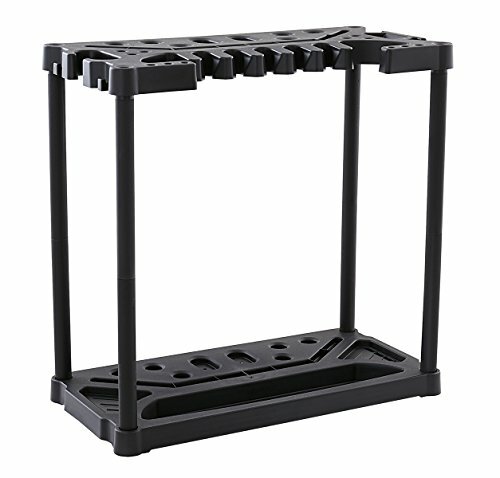 It seems more stable than many others, holds more tools and comes with a better price tag. 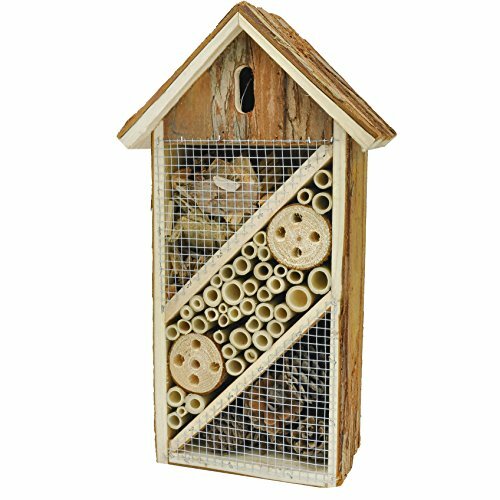 Attractive and functional, everyone loves this little insect hotel that draws a host of beneficial bugs to your garden. So many of our little winged friends offer immeasurable benefits to help our gardens and plants that we can't list them all here. It's a tough world out there and sometimes they could use a little help from us. Well now, returning the favor couldn't be easier with the Gardirect Insect Hotel. Weeding is a labor-intensive endeavor. You bend and stoop and pull until your back aches and your knees hurt only to look down and see how little you have accomplished. Fortunately, weeding the old fashioned way is no longer necessary. Next on our Great-8 list is not only functional but easy to use and saves you a lot of bending. Best used when the ground is softer or wet. Additionally, coming in at an angle helps. We had to go with the Weeding Wand Standing Weeder. We all enjoy the beauty of a tulip or the majesty of a bearded iris; who doesn't? That aside, planting them or any bulb for that matter, can be laborious and time consuming. 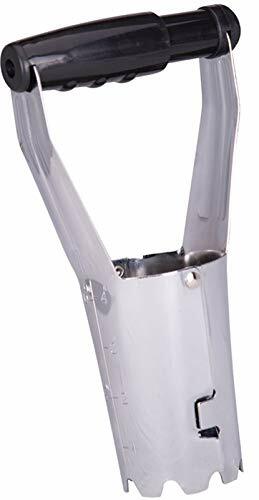 Not so with the Edwards Tools Bulb Planter. 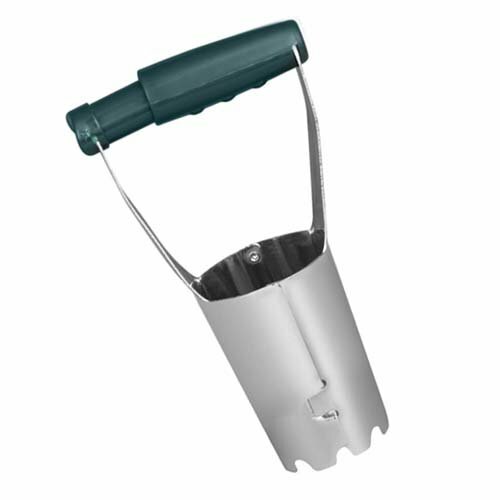 This hand-held garden tool is simple to use, effective, and inexpensive. Those factors combined to make it our top pick. Next up is a simple, wearable garden pouch that will come in handy more often than you would think. 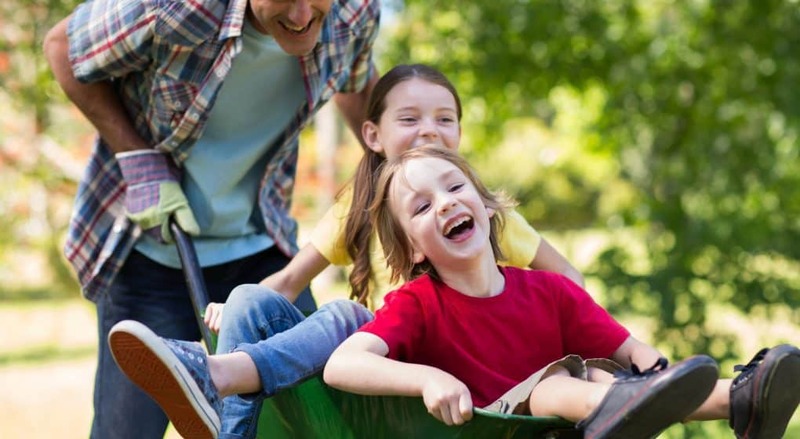 It may seem like a simple idea and it is, but that doesn't diminish the value of its utility. 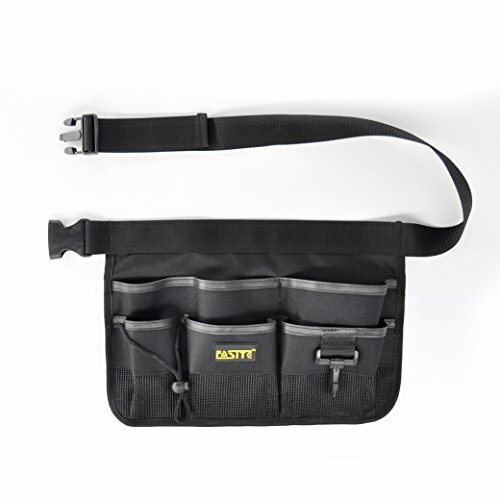 Great for carrying tools, holding cut flowers or for toting weeds you've just pulled, this multi-functional garden helper is the Fasite 7-pocket Gardening Belt. Spring is a time of renewal and no better time to renew her old garden tools with a new set of high-quality ones designed to make working in the garden easy on the body and pleasant to the eyes. These tools come in an attractive and rugged carrier bag decorated with a lovely floral print she'll appreciate. Lightweight, good looking and durable, this bag comes with a complete set of garden tools containing everything she'll need to maintain the garden or to start one anew. Rounding out our Top 8 is the Scuddles Heavy Duty Gardening Tool Set. 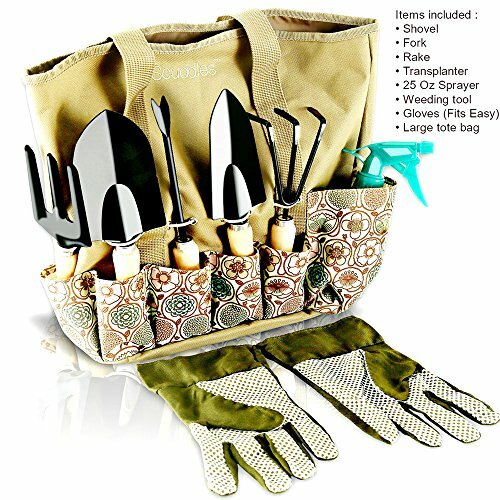 This garden tool set is the perfect gift for the beginner or experienced lady gardener. 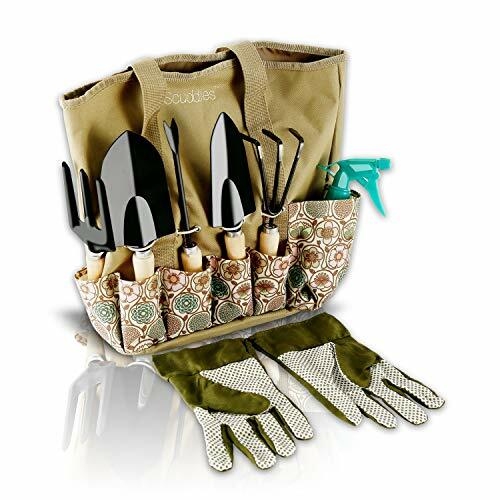 Goodies include an 8-tool gardening set consisting of a Garden Rake, Mini Shovel, Trowel, Cultivator, a Hand Weeder and Transplanting Spade along with cotton-lined Heavy Duty Gloves. She'll also get a Spray Bottle and of course, the superior Tote Bag. This is in the bonus category because very few models are under our $50 price limit, but another great gift idea for gardeners is an AeroGarden. It allows you to easily garden indoors all year round, and there's even a version for kids. See our full AeroGarden review for all the details. Well, this wraps up our Great Gardening Gifts list. We know you'll find something on that list that is sure to please that special gardener in your life...even if it's you!